At the time of the Song dynasty, Chan (Japanese Zen) was the dominant form of monasticism and had considerable imperial support. This forced it to assume certain features and develop a network of monastic offices and rituals wanted by the state. Around the 12th century, this tendency to monastic wealth and imperial patronage became even more pronounced with the creation by direct imperial order in South China of the Five Mountain and Ten Monasteries System during the late Southern Song (1127–1279). It was a system of state-sponsored temples and monasteries built to pray to the gods for the dynasty and the state, which was threatened by enemies from Northern China. The system had at its top five famous temples and ten lesser ones immediately below. Officials chose both the five temples of the top tier, and the chief priest that ruled over them. The system was devised specifically to bureaucratize and control the power of the Chan temples, a power which had been growing with the years and worried the central government. The consequent submission of the Chan network to imperial power and its goals is evident in later codes, particularly in the Baizhang qinggui compiled in 1336. Because the conquering Mongols financially supported Chan, the code emphasizes prayers for the emperor and the monastic ancestors The emperor is even described as a nirmanakaya, or incarnate Buddha. The complex monastic bureaucracy described by the code clearly reflects the imperial administration with its eastern and western ranks. The code has been in continuous use ever since, and not only within Chan Buddhism. “The Gozan temples functioned as de facto ministries for the dissemination of government directions and the monitoring of regional conditions, continuing the Chinese system on which they were modeled. Thus military rulers were able to promulgate control under a religious cloak, while high-ranking clerics — especially those with experience in China — took on government-service roles as translators, diplomats and advisers on foreign affairs. Mixing easily with the political and cultural elite, and well-supported by them financially, such clerics soon assumed a more secular, courtly style, living in palatial quarters and wearing silk robes, with the leisure to cultivate gentlemanly skills of social entertaining, painting and poetry. Many of the arts of the Gozan temples show elaborate features of the older sects of esoteric Buddhism and iconographic similarities with Song Dynasty culture. The temples served as repositories of art treasures brought back by monks who had studied Zen in China. These paintings, sculptures and ceramics were held in similar high regard to foreign brand-name luxuries today and were avidly collected, studied and imitated. 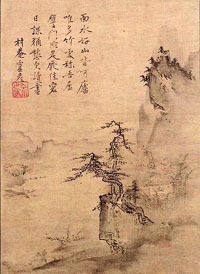 Chinese subjects such as celebrated sites of natural beauty and figures from religious legend and history entered the artistic repertoire, so that many Japanese paintings show inspiration from the mainland even up to the modern period. In Japan, the ten existing “Five Mountain” temples (five in Kyoto and five in Kamakura, Kanagawa) were both protected and controlled by the shogunate. In time, they became a sort of governmental bureaucracy that helped the Ashikaga shogunate stabilize the country during the turbulent Nanboku-chō period. Below the ten Gozan temples there were ten so-called Jissetsu (十刹) temples, followed by another network called Shozan (諸山 lit. many temples). The terms Gozanand Five Mountain System are used both for the ten temples at the top and for the Five Mountain System network in general, including the Jissetsu and the Shozan. There used to be in Kamakura a parallel “Five Mountain System” of nunneries called Amagozan (尼五山), of which the famous Tōkei-ji is the only survivor. 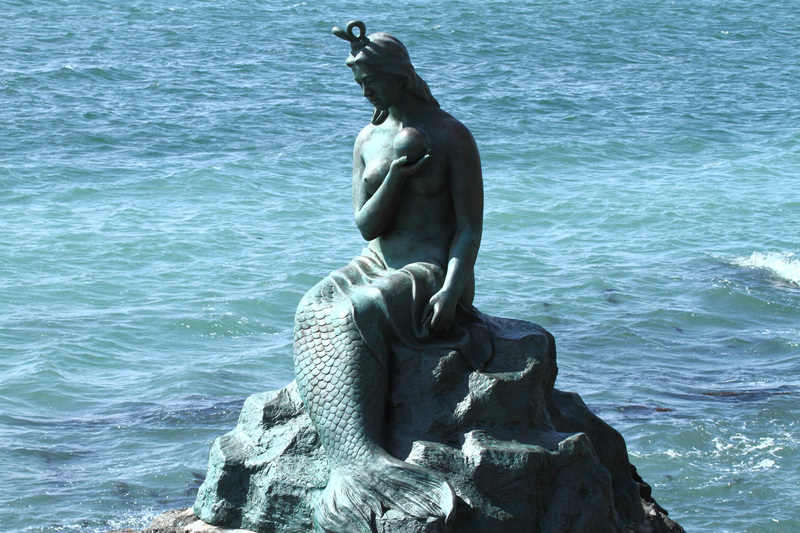 Introduced to Japan by the Hōjō regency, after an initial hostility from older and established Buddhist sects, it prospered thanks to the support of the country’s military rulers in Kamakura first and Kyoto later. In the final version of the system, Kamakura’s Five Mountains were, from the first-ranked to the last, Kenchō-ji, Engaku-ji, Jufuku-ji, Jōchi-ji and Jōmyō-ji. Kyoto’s Five Mountains, created later by the Ashikaga shogunate after the collapse of the Kamakura regime, were Tenryū-ji, Shōkoku-ji, Kennin-ji, Tōfuku-ji and Manju-ji. Above them all was the huge Nanzen-ji temple. Below the top tier there was a nationwide capillary network of smaller temples that allowed its influence to be felt everywhere. The system was adopted to promote Zen in Japan however, in Japan as it had already happened in China, it was controlled and used by the country’s ruling class for its own administrative and political ends. The Gozan system allowed the temples at the top to function as de facto ministries, using their nationwide network of temples for the distribution of government laws and norms, and for the monitoring of local conditions for their military superiors. The Hōjō first, and the Ashikaga later were therefore able to disguise their power under a religious mask, while monks and priests worked for the government as translators, diplomats and advisers. To the Rinzai sect, the collaboration with the shogunate brought wealth, influence and political clout. The system had come to Japan at a time when Kamakura’s five great Zen temples were already known as the Five Mountains, and it unified in one organization all the great temples of the dominant Zen schools of the time. It thus institutionalized a large and very important part of the Rinzai school, bringing to it the protection, but also the control of the state. The whole network of temples was supervised by a state bureaucracy created specifically for the task. The system in its final form had three tiers, with at the top Kyoto’s Five Mountains (the Kyoto Gozan (京都五山), known in English also as Kyoto’s Five Zen Temples) and Kamakura’s Five Mountains (the Kamakura Gozan (鎌倉五山), in a subordinate position). Below them were the so-called Ten Temples, or Jissetsu, with at the bottom other temples collectively known as Shozan. The Gozan temples were dominated mainly by the Rinzai Zen schools. The Kōchi-ha (宏智派) branch of the Sōtō Zen school however belonged to the Gozan system too. 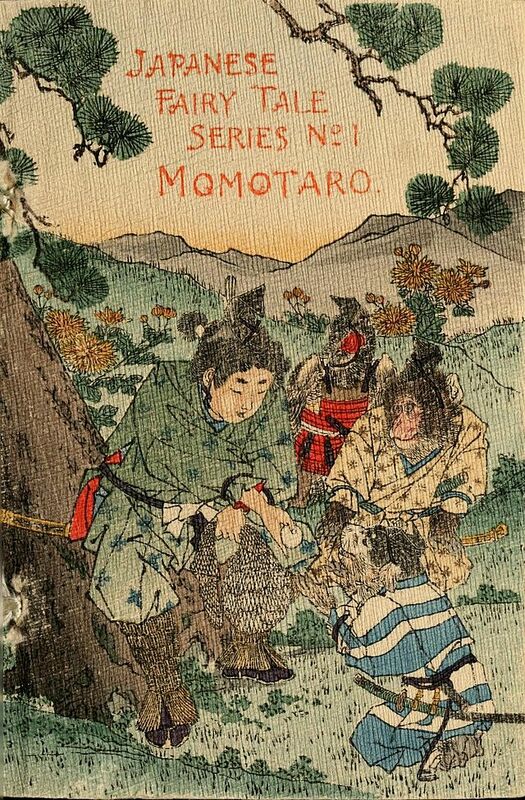 Under their masters’ patronage, the Five Mountain temples gradually became centers of learning and developed a characteristic literature called the Japanese Literature of the Five Mountains. During the Japanese Middle Ages, its scholars exerted a far-reaching influence on the internal political affairs of the country. The system put great value in a strong orientation towards Chinese Zen, Chinese philosophy and Chinese literature. The organization’s scholars had a close relationship with the Ming imperial dynasty, had a pervasive influence in many cultural fields and played an important role in importing Neo-Confucianism (particularly as far as the shushigaku (朱子学) is concerned) from China to Japan. At the end of the Kamakura period (1333) the four temples of Kennin-ji, Kenchō-ji, Engaku-ji and Jufuku-ji, were already known as the Gozan, but not much is otherwise known about the system, its structure and the hierarchical order. The first official recognition of the system came from Emperor Go-Daigo during the brief Kemmu Restoration (1333–1336). Go-Daigo added the Kyoto Gozan to the existing temples in Kamakura with Daitoku-ji and Nanzen-ji together at the top as number 1, followed by Kennin-ji and Tōfuku-ji. At this point in time, in spite of their name, the Gozan were not five but four in both cities. At the beginning of Muromachi Period, they became five in Kyoto later, when Ashikaga Takauji built Tenryū-ji in memory of Go-Daigo. From their base cities of Kamakura and Kyoto, the twin Five Mountains Systems had great influence over the entire country. Following the advice of Musō Soseki, shogun Ashikaga Takauji and his brother Ashikaga Tadayoshi decided to strengthen the system through the building in every province of an Ankoku-ji (安国寺 Temple for National Pacification) and a Rishō-tō (利生塔Pagoda for the welfare of sentient beings). These were dedicated to the memory of the dead of the Genkō War of 1331-3, war in which Emperor Go-Daigo broke the power of the Hōjō clan. 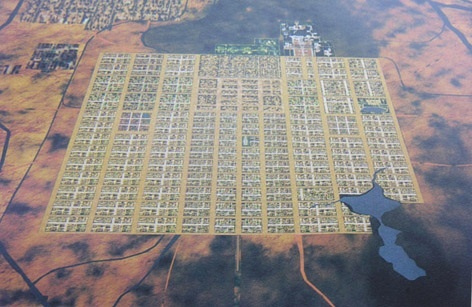 Emperor Kōgon promulgated in 1345 an edict for the deployment of the new system, and from 1362 to 1367 the temples and the pagodas were built in 66 provinces. The Ankoku-ji network was tightly controlled by Ashikaga shugo (Governors) and was associated with the Gozan system. 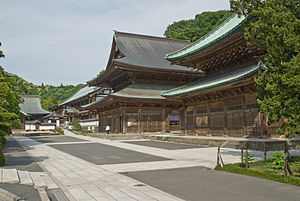 The Rishō-tō were direct property of the Gozan, with the exception of those associated with the Ashikaga, which were connected to powerful temples of non-Rinzai schools, mainly of the Shingon, Tendai and Risshū sects. Both brothers died early (Tadayoshi in 1352, according to the Taiheiki of poisoning, and Takauji in 1358 of cancer), so they couldn’t couldn’t oversee the system’s creation until its end. The system was completed under Ashikaga Yoshimitsu when he was 10 years old. During his father Ashikaga Yoshiakira‘s regency, who was until his death busy with the war with the Southern Court, the Ashikaga governors had become however strong and independent warlords. Even though as a consequence the provinces didn’t accept any more the oversight of the Gozan and of the shogunate, the Gozan/Ankoku-ji system remained a valuable instrument to control the various Zen sects. After the completion of Shōkoku-ji by Yoshimitsu in 1386 a new ranking system was created with Nanzen-ji at the top and in a class of its own. 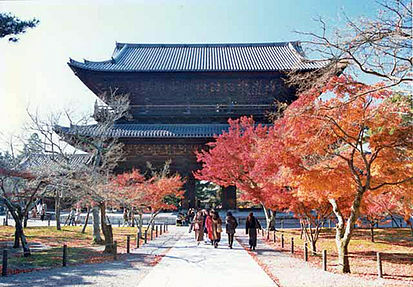 Nanzen-ji had the title of “First Temple of The Land” and played a supervising role. Apart from the Gozan temples, there were also many others in the provinces called Rinka (林下 the forest below), among them Sōtō‘s Eihei-ji founded by Dōgen, and Rinzai’s Daitoku-ji, Myōshin-ji and Kōgen-ji, which were not under the direct control of the state. 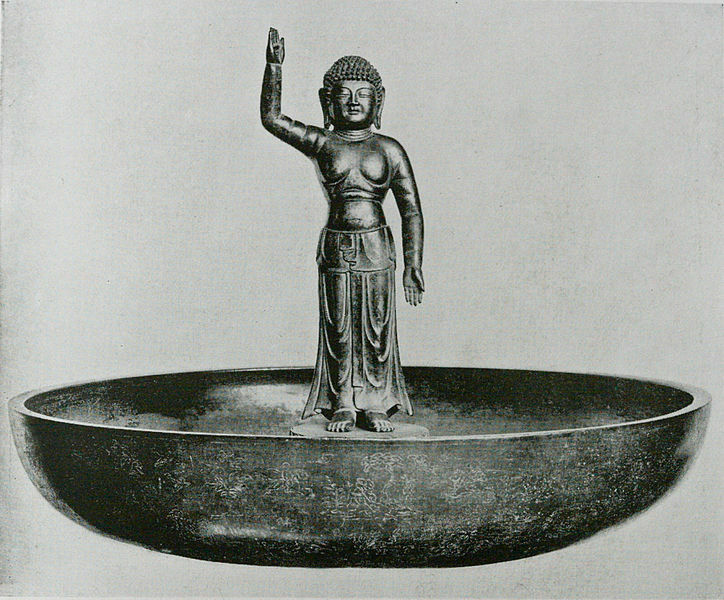 During Japan’s Middle Ages, the Rinka monasteries were Zen’s other main branch. Unlike the Five Mountain temples, they placed little emphasis on Chinese culture, were run by less well-educated monks who preferred zazen and kōan to poetry. Rinka Zen prospered among the lower layers of the warrior, merchant and peasant castes, who saw religion as a means to achieve simple worldly goals such as profits and exorcisms. Today’s Sōtō and Rinzai sects emerged from Rinka Zen.